What are the latest Australian Online Shopping Strengths? How many Australians have smart phones and use them for online purchases? Which products are the most popular online purchases? These Australian online shopping statistics can help you determine the best marketing strategy for your dropshipping store. We shall explore these issues and more in this Advanced Dropshipping Guide: Latest Trends in Summer 2018 Australian Online Shopping Statistics. You can use this information to create the best online shopping experience. Our country of Australia is rich in natural resources. It is the only country that is also a continent. We are one of the largest nations with plenty of open space for our population of 24 million. And yet, we also have a very high urbanization rate of 90%. Our per capita income is very high amongst nations. These factors make the Australian population a prime target for eCommerce. We name our bedding after a city in the United Kingdom. Our currency uses the same name as that of the United States. And yet more and more, we are categorized as being in the Pacific Rim with China and Japan. Sometimes, our nation is seen as a bellwether for certain economic trends. Thankfully, we have a very strong Internet infrastructure for dropshipping. This has encouraged global Internet brands, such as Amazon and Ali Baba, to target our nation for expansion. Dropshipping is not as established in Australia as it is in the United States. Some Australian retail brick-and-mortar companies are worried about Amazon incursions. They know the future for Australian eCommerce is up for grabs. If you study the history of Amazon you could better understand some of the characteristics of the typical online shopper. Most of them share the same Top 3 reasons for shopping online: 1. Cost, 2. Shipping and 3. Discounts. Convenience is a close 4th. More tech-savvy people shop online. Younger people tend to shop online more than older people. Young people are more comfortable with Web technology, they grew up with it. Shoppers will choose websites that they trust. Parents spend more time shopping online than non-parents. They might understand that their family budget is optimised by the lower prices found online. Also, the elderly care less about discounts than younger people do. Does it really matter how Australia compares to other nations in terms of online shopping? Yes and no. Australians can make up their own minds, so in that respect it does not matter. But, the world is becoming smaller. We, Australians like to think of ourselves as being cosmopolitan, so we do like to see what at least the UK and US are doing. And, comparing Australia to other nations allows us to gauge certain global trends. We can see which technology is available. Perhaps, the Australian government will see another country’s successful online shopping activities and upgrade our Internet connections. So, how does the Australia Internet infrastructure compare to other nations? By 2018, the Internet has become like electricity – all nations have it. The primary comparison factor between nations is speed. How fast is the Australian Internet? A faster Internet will encourage more usage. It will be more efficient. 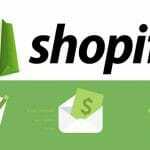 Shoppers will be able to spend more money on your dropshipping store because it is so fast. So, Australia’s Internet speed is not too bad – it is near the global average. We would expect the Internet would be fast in the United States because it was invented there. South Korea being #1 is interesting; perhaps, this is why there are so many digital coin markets there. Australia has room to improve. It is a large nation, so improving fixed Internet speeds will be a slow process. Once again, Australia is about average globally. Here, the UK is #1 suggesting that they have updated their mobile connections faster than other nations. The US and China are near the bottom – they might have older fixed Internet connections and will need time to upgrade mobile connections to keep pace. In 2017, more than 85% of Australians had Internet access and this access is growing by 1.7% per year. So, the statistics have shown that our government has done a good job of creating a strong Internet infrastructure. We are basically near the global average for Internet infrastructure. Certain things can only be done online. Social Media is a prime example. Individuals can talk, share and collaborate with others half way around the world. Some Australians spend all day working online. Others might only go online in an emergency. Some people still don’t have email. The amount of time that Australians spend online varies dramatically. It is becoming more of a staple in the lives of many people. It is a great way to quickly check a sports score, stock price or weather forecast. Yes, the Philippines is #1. It seems that the nation has made the Internet essential to everyday activities. The UK and Australia statistics are almost identical. If you add in the United States, each nation spends about twice as much time on the Internet using desktop connections as they do using mobile connections. Mobile connections are still not as established. Another interesting feature is that many of the Asian nations have very high rates for mobile connections – Philippines, India and China. They have made mobility connectivity a high priority. As part of the Pacific Rim, Australia could benefit from this fact. The Internet is becoming as common as a cup of tea for many Australians. They average 3 to 4 hours per day online, which is 21 to 28 hours per week. How can you encourage them to visit your dropshipping store during that time? How important is Social Media to Australians? The simple answer is that Social Media is simply the latest social fad. People have spare time and want to let their hair down. They can go to websites where they have an account. On many websites, they can make up creative aliases. They can relax and share their thoughts with others freely. These show that Social Media is very important in Australia. Its importance is similar to the United States. Anywhere between 12 and 16 million Australians are on Social Media. Remember, South Korea was #1 in the world for Average Fixed Internet Connection Speeds; it is also #1 for Social Media Penetration. It seems that desktop Internet speeds have a direct correlation to Social Media penetration. People are more likely to join social websites when their Internet speeds are fast. The global average is 21%, so Australia is below average on this stat. But, it already has very high rates, so there is not much room to expand. These stats mirror the time spent online. We can conclude that if people spend more time online, they will tend to spend more time on Social Media. Should You Sell on Social Media? The high number of Australians with a Social Media account begs the question – “Should you sell on Social Media?” Successful marketers go where the people are. People are on Social Media, so they will want to sell their products there. Social Media provides interpersonal connections, the ability to share ideas, learn, play games and earn rewards. Some websites will give people credits, which will encourage them to spend more time online. The Omni Channels Marketing Strategy involves selling your merchandise using different avenues. Many Australians check their Social Media accounts every day. They earn credits every time they check. You can use applications to link your dropshipping store to a website. You can add a button to that website, which your customers can use to buy your merchandise. Wouldn’t that be a nice feature? So, we touched upon the differences between Australians using a desktop (fixed) or smart phone (mobile) to go online. Now, we will delve more deeply into mCommerce. What is mCommerce? While eCommerce refers to online shopping (electronic commerce), mCommerce refers to online shopping using a mobile phone, tablet or laptop. It can be useful to look at data in smaller market segments. Approximately 19.4 million Australians own mobile phones. Researchers discovered that amongst Australians aged 14 to 17, about 91% of them owned a mobile phone. Parents might think this is a good way to keep track of their teens – they can call their teens anytime. Australia is below global averages for its percentage of mobile traffic compared to total Internet traffic. But, statistics show that about 27% of Australian consumers purchase products using a mobile device every week. In Japan and South Korea, 50% of consumers purchase products using a mobile device every week. Therefore, it seems like Australia might have started behind other nations in the adoption of mobile connectivity and is trying to catch up. How Can You Improve Mobile Connectivity? Dropshippers are using the most advanced technological avenue for buying and selling: the World Wide Web. They should continue to leverage their technological advantages to increase their profits. Improving mobile connectivity allows you to remain in the vanguard of technological advancements. There are a number of ways for you to improve your website’s mobile connectivity. You could start off with a more mobile-friendly website by choosing the right dropshipping software. For example, Shopify is built to optimize mobile transactions. Mobile connections will seek to offer one-click functionality by displaying the sales total and simply asking the user for payment authorization. Remember that smart phones have small screens, so you need to display product information in a smaller format. 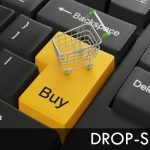 Successful dropshippers use better technology than their customers. As a business owner, you have access to superior applications, website tools and systems than your customer. Stay technologically advanced to create the best online shopping experience. Conduct annual eCommerce technological review. You know that tech changes quickly, so you should make an annual review, contemplating upgrading your technology when necessary. When is it cost-effective for you to invest in a new application or better technology? Did you have a strong holiday season? If you did, then it might make sense to invest in better technology with those profits. You can test out the technology and by the time the next holiday arrives all the kinks will be worked out. Be more agile, flexible and pro-active in providing your customers with the best products, technology and customer service. Make the purchasing process as easy and quick as possible. You must keep pace with technological advancements to earn and retain customer loyalty. 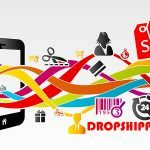 What features do customers want dropshipping websites to add? Many customers wish there were more product videos on dropshipping websites. You could create a video of your best-selling or high-end merchandise. Test it for a month and compare the sales figures with or without product videos. Some consumers use their mobile phones to conduct research before making desktop purchases; online searches might also be used before offline purchases. Roy Morgan CEO Michele Levine explained “ … the [I]nternet isn’t just a sales channel; it’s often the way we do a bit of pre-purchase planning via computer, mobile or tablet instead of visiting stores. 45% of Australians agree they research products or services online before buying in-store, and almost 1 in 3 did product research online within the last four weeks—often by mobile phone.” Using a mobile app to optimise browsing can increase Web traffic and eventually sales. How Big Is Australian eCommerce Market? So, we have established where Australia compares to other nations for Internet infrastructure, time spent online and Social Media. Now, let us delve into details of the Australian eCommerce market. Experts predict that the Australia eCommerce market will reach AU $33 billion by 2019. Every month, 4 out of 10 Australians purchase merchandise from eCommerce stores, according to Roy Morgan. If you remember, the statistic for Australian mCommerce was about 27% purchasing online per week. About 65% of all Australians shop online and 79.4% of Internet users prefer online over offline shopping. Many experts believe these figures will continue to improve. Online shopping will become second nature to the younger generation. And, you can’t beat the best features of eCommerce. Consumers do not need to fill up their automobile with petrol to drive to a shopping mall miles away. They can search your dropshipping catalog during their lunch break. Comparing prices is easy online. Dropshipping can be a cost-effective way to start your own business. It allows you to tap into online shopping, which is positioned for continued growth. That is why Amazon has increased its presence in our country. We have a wealthy, urbanized population with a solid Internet infrastructure. And, there is still ample room for growth. As of 2018, the share of eCommerce as a percentage of total retail sales in Australia has grown to about 7%. That means that if you can transform some of the other 93% of retail sales into dropshipping sales at your store, you can earn healthy profits. The fastest way to become obsolete is to fail to keep up with technology. 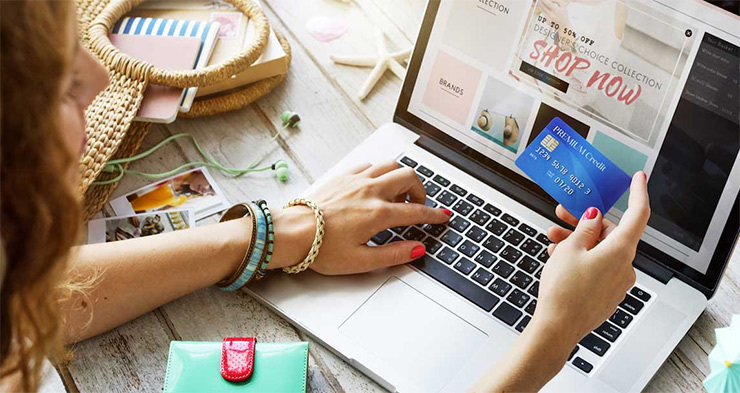 Experts predict that the Australia eCommerce market share of total retail sales will grow from 2018 to 2022 at a rate of 8.9%. While some large Australia retail brick-and-mortar stores are fearing obsolescence, your market is growing. That is because you are on the cutting edge of technology. Certain merchandise is ideal for online purchase. You might think of smaller items that are popular with tech-savvy individuals. What do you think are the Top 5 products purchased by Australians online? After you see the list, it makes sense. Vacation or concert tickets are easy to get online. Clothing, fashion and apparel is considered to be the #1 product category purchased online by Australians. Clothing is a necessity with a tremendous variety online. Shoppers also go online to create the perfect ensemble with jewelry and watches as accessories. Why did Amazon start with books? They knew that intelligent, tech-savvy people read a lot and shop online. They connected the dots to carve out a very profitable market niche with #2 books. Food might surprise you at #3. People can now order fast food online. Some believe that the supermarket category will continue to increase; Amazon even has a no-checkout supermarket concept. Electronics, computer accessories and video games should be no surprise at #4. Why isn’t it higher? Clothing is a necessity, computers are a technology. And, #5 is alcohol – some lump this in with food. Selection and prices are better online. The aforementioned industries have taken advantage of the online shopping advantage of flexibility, speed, price and variety. Some of these industries were the first to market heavily, offering powerful discounts for completing online transactions. Statistics have shown that offering coupons, specials and discounts can attract online shoppers. How do Australian provinces (states) differ with respect to online shopping? Some of the shopping statistics have been broken down to zip codes. We shall look at some key eCommerce province statistics for three product categories: Clothing, Toys and Hard-to-Find merchandise. These more detailed online shopping statistics reveal some of the dynamics occurring in our country. Cities and states might have their own special eCommerce buying habits. This might give you ideas on how to better market your dropshipping products. Clothing, fashion and apparel accounted for 25% of the Australia online shopping total between January and June 2016. October and November are peak months in Australia for fashion shopping. Our entire nation saw an average increase in online apparel purchases of 14.5% during the aforementioned six-month period. NSW saw a 19.5% increase. In fact, Surry Hills NSW 2010 was in the Top 3 for buying locations and households. Toys and games are a little more than 1% of total Australian online shopping. This is fairly low, but some of the demographic statistics are interesting. QLD grew by 5.3% and NSW grew by 2.6%. 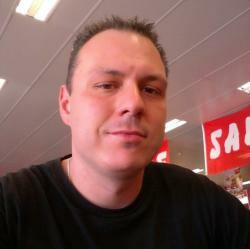 Toowoomba QLD 4350 was a top shopping location. Why does Queensland have so many online game and toy shoppers? Some note that Queensland has a higher than average senior citizen population. They might prefer to shop online for their grandchildren. Hard to Find merchandise is really a catch-all category – it could cover anything. The Internet can list goods that are simply impossible to carry offline. It could include collectibles, antiques and items associated with hobbies. It is kind of like the old corner hardware stores. Remember their aisle of every sort of washer, screw or bolt in every different size, you could ever imagine? You might have only really purchased something from that aisle once in your life; but, boy were you thankful they had it. The same is true for the Hard-to-Find website. These online stores might be useful if you want to relive your childhood. Or, you could find a special gift for someone who has everything. For our purposes, we include specialty food and liquor – these account for about 8% of Australia online shopping in the Hard to Find category. Broome WA 6725 accounts for top buyers by household. Onslow WA 6710 had a 72.0% increase from January to June 2016. Australia dropshippers might have an advantage over some of the older brick-and-mortar retailers who don’t have as much of an online presence as retailers in other nations do. Australian dropshippers can be more agile than these old retail dinosaurs. You can market to specific customers in specific provinces – provide products that are Hard to Find, expensive and popular. So, how much money does the average Australian spend online? According to 2015 Entrepreneur statistics, Australian online shoppers spent the 17th most in the world at $977 per user annually. On this list, Hong Kong was #1. Australia was just behind Austria and just ahead of Japan. This shows that Australia may have a relatively average Internet infrastructure, but the citizens do spend more online than consumers in other nations. Australians tend to be wealthier, so this could be an explanation. This is another good sign for dropshipping stores. Many Australians conduct most of their shopping offline. But, since the dropshipping industry is still relatively new, all you need to do is gain a tiny share of the online shopping market. Continuing to focus on tech-savvy shoppers might be a wise strategy. Why? The statistics show that young people have the latest smartphone technology. They are more likely to purchase concert tickets, electronics and games online. Grandparents are more likely to purchase hard to find toys online. 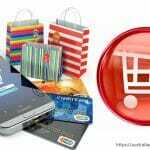 Smart phones have increased the speed and ease of shopping online. If you didn’t know any better, you would think that smart phones were a third hand for some Aussies. They carry their smart phones everywhere. And, some Australians will answer their smart phones at a moment’s notice. They figure that it might be an emergency. Therefore, smart phones are a great way for dropshippers to gain the immediate attention of consumers. With a couple of taps on a smart phone keyboard, a consumer can fill up a shopping cart and complete a financial transaction. Online speed is great for splurge purchases. If a woman’s favorite actress just wore a beautiful dress to an important event, she might want to add that dress to her own wardrobe. She can be the first on her block to do so. Whoever types fastest can get the merchandise fastest. Continue to make online shopping easy. When people see that they can buy something with one click, they will be hooked. Anyone can do it. By saving your customer’s time, you save them money. This can be on top of the normal cheaper merchandise prices online. Hence, you are giving them a double discount. A continued focus must be on building up trust. Statistics show that shoppers visit websites that they trust. So, how can you earn the trust of your customers? You have heard of customer service and customer support, but couldn’t you also use the term customer attention? An active Live Chat pop-up window can improve your customer attention. It allows you to anticipate any questions before they are asked. Have you ever gone to a swimming pool and seen a sign “Lifeguard on Duty?” Don’t you feel safer immediately? The same is true when you have a clickable “Help?” box on your online store. This is becoming the norm for the top websites. As a dropshipping business owner, you understand sales. You have your own sales philosophy and will use that to increase profits. There are so many different upselling apps – you can probably find one that fits your sales philosophy. You might want to suggest different products based on whether someone is from NSW or QLD. As we mentioned earlier, Toowoomba QLD 4350 was a top shopping location for toys and games. Use this valuable data to increase sales. Fashion and computer accessories might be the best example. You can determine which Australian cities had the best stats for these and then upsell to customers from those areas. That will deliver the best return on investment (ROI) for your marketing. And, if you don’t know how, you can purchase an application that will collect the data for you. This can accumulate data from previous monthly sales and match location with purchasing trend. Let the apps crunch the numbers. Customer Relationship Management (CRM) software can help you create profiles on each customer. It can assign customer IDs, so when the customer visits, their upsell pop-up window automatically appears. This also adds a personal touch to the online shopping experience. One of the secrets to dropshipping success is anticipating future trends. By selecting the hottest merchandise that will be in high-demand tomorrow, you establish the foundation for healthy profits. Consumers will visit those online stores that understand them. Understanding your consumer means knowing what they want, when they want it and for what price. When they do an online search, they will find your dropshipping store because you have done your homework. So, what do these Summer 2018 Australian Online Shopping Statistics teach us about future trends? Of course, no one can predict the future, but if we look at multiple years of data we can see that Australia has a very strong Internet infrastructure. Its high urbanization rates and high per capita income make it attractive to many global companies. About 93% of Australia shopping is done offline, which leaves about 7% for online. Australians spend twice as much time on the Web using desktop than mobile connections. Approximately 27% of Australians are using mobile devices to purchase every week. Some Australians might use their mobile devices for browsing and finalize their purchase using a desktop connection. Still, mCommerce is growing faster than eCommerce. One-half to two-thirds of Australians are on Social Media. Some Australia brick-and-mortar retailers might feel pressure from Amazon and Ali Baba. Amazon and Ali Baba should increase the appeal of eCommerce by offering better deals online. The good news is that these global brands can provide you with free advertising, so more people will feel safe shopping online. You can even sell your products on Amazon. Online trade wars are likely. If you can pick up a small percentage of that increased Australian online shopping, you can earn a healthy profit. So, decide what you have to offer that is better than Amazon. Then, incorporate that into your dropshipping business plan. Just as online surfing has become a normal activity for many Australians, mCommerce is becoming part of their normal online shopping routine. Create a website that is easy to surf, so customers can view product information using their smartphone. Some Australians are using mCommerce for specialized purchases. If you can figure out which of these specialized goods are purchased online, you can make some good profits from dropshipping. 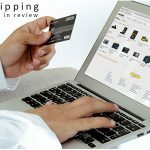 Learn from the statistics – create the fastest checkout and best shopping experience to increase your dropshipping sales.